Cafes have become more of a fashion statement than they were earlier as seen as beverage points or get together. May you call it western influence or blame evolution for this but this generation is extremely dependent on coffee not just for taking breaks during work but for those who visit gym, drink black coffee to enhance their stamina and coffee lovers, who love to savor a cup of rich coffee for no reason at all. According to TechSci Research report, “India Coffee Shops / Cafés Market Forecast, Consumer Survey and Opportunities, 2021”, coffee shops / cafés market in India is projected to grow at a CAGR of over 11% during 2016-2021, on account of the growing coffee culture among young population, increasing urbanization, rising disposable income levels and changing eating and drinking preferences of consumers. One cannot ignore the number of coffee chains and outlets lined in every mall or market, wherever it is. The international brands such as Café Coffee Day, Starbucks, Costa, and Barista are the few to name but the startups too have invaded this space and trying their luck. Most people visit these to have an experience of the kind of coffee being served; the demand of coffee too has increased with time. Every other month these coffee chains run in neck to neck competition to be the owner of highest coffee chains in India. This is one of the reasons for the growth and expansion of coffee market in the country. 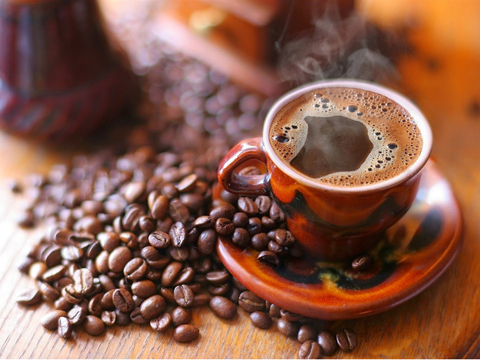 Moreover the coffee powder brands such as Nestle and Bru too have tried to satisfy their customers with bring out new varieties of coffee to the retail market. Over the past one decade it is evident that consumption culture, westernization and income have made a lot of difference in the retail market. People now can afford to spend enough on the things they desire for and this has resulted in change of behavior towards spending on things like coffee, prioritizing things as per need and desire. This change in the vision has made all the difference. Over the last one decade, Indian consumers have shifted from being saving oriented to be more consumption oriented. Thus, Spending Rs 200-400 on a cup of coffee along with some food is not big deterrent for today's Indian consumers. Different methods or approach of different companies towards their customers too plays an important role in shaping their consumption as well as prioritizing their choice. Some people prefer different tastes to enjoy in their home space, some prefer strong, roaster, finely grained or unsaturated, thus some brands are trying to extend as many options for satisfying the customers’ need. One can witness the different ways the other coffee chains serve coffee to their customers, this is one way to attract the customers. Moreover the advertisements play major role in getting more attention of the customers. India is home to not just metro cities but it also includes tier II and tier III cities, small towns, where the café culture is yet to penetrate. For them the coffee is only Nestle and Bru, thus the company should work to reach out to them and serve them variety. For any business, there is wide range of audience, which has different taste and nose for different products. One can reach out and satisfy them by offering them in low price, so that they can try before they add it in their grocery list of every month. A company should reach out to small cities, towns, villages for selling their product because the company needs the customer not the other way round.